WWF-Thailand is profoundly saddened at the passing of His Royal Highness King Bhumibol Adulyadej. 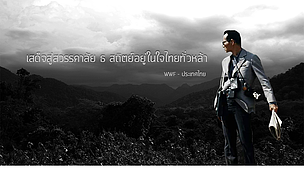 WWF-Thailand is profoundly saddened at the passing of His Royal Highness King Bhumibol Adulyadej. We join the Nation in mourning the Father of the Country and send our deepest condolences to the Royal Family and wish them peace in their moment of sorrow. His Majesty has led the nation for 70 years and has been a tireless champion of the people, especially those less fortunate. He has also shown great leadership in the conservation of Thailand’s vast natural resources -- its wildlife, forests, rivers and oceans. His Royal Highness has long supported the conservation of Thailand’s elephants and the protection of its National Parks. WWF-Thailand deeply appreciates King Bhumibol Adulyadej’s leadership of the Nation and shares in the Nation’s sorrow at his passing.